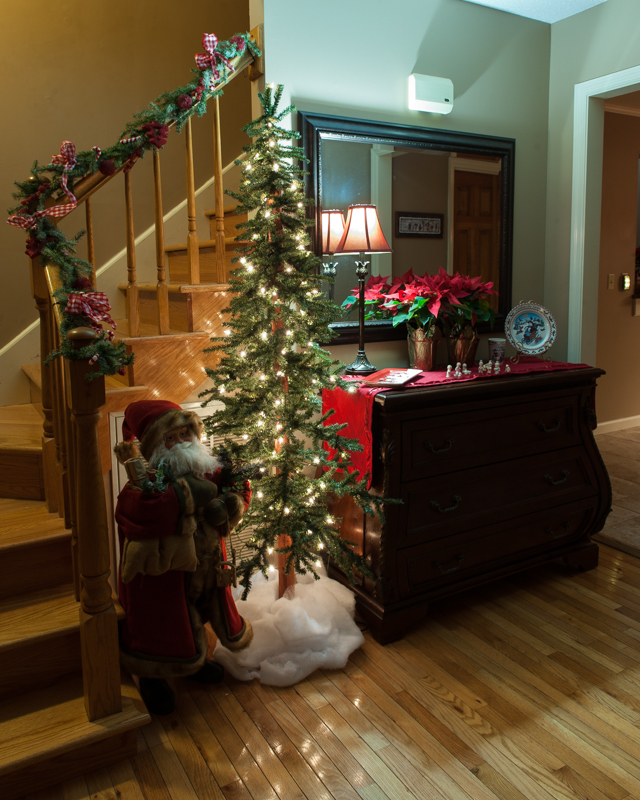 My sister-in-law asked me to take some photos of her Christmas decorations the other day. I said sure – sounds like fun. 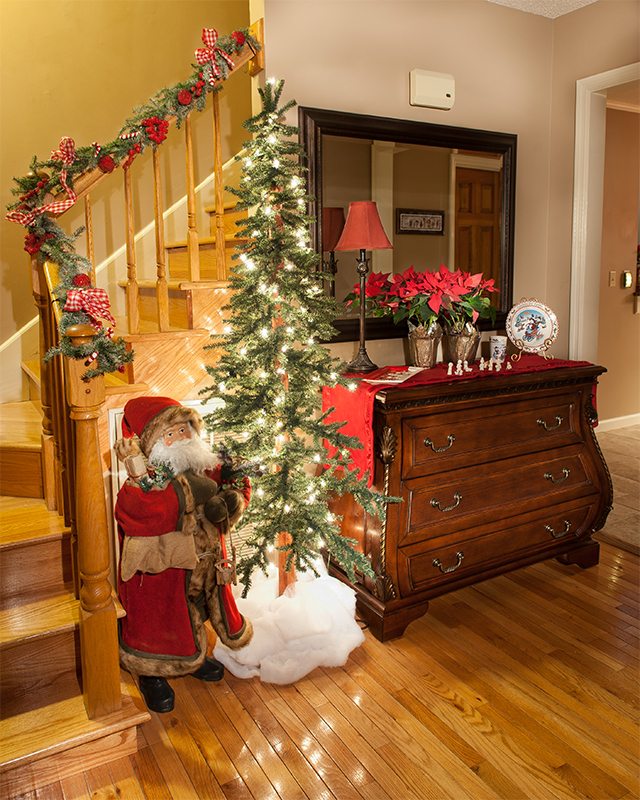 Well, here is a look at one of the areas she wanted me to shoot, the foyer (Figure 1). Wow, that is ugly. 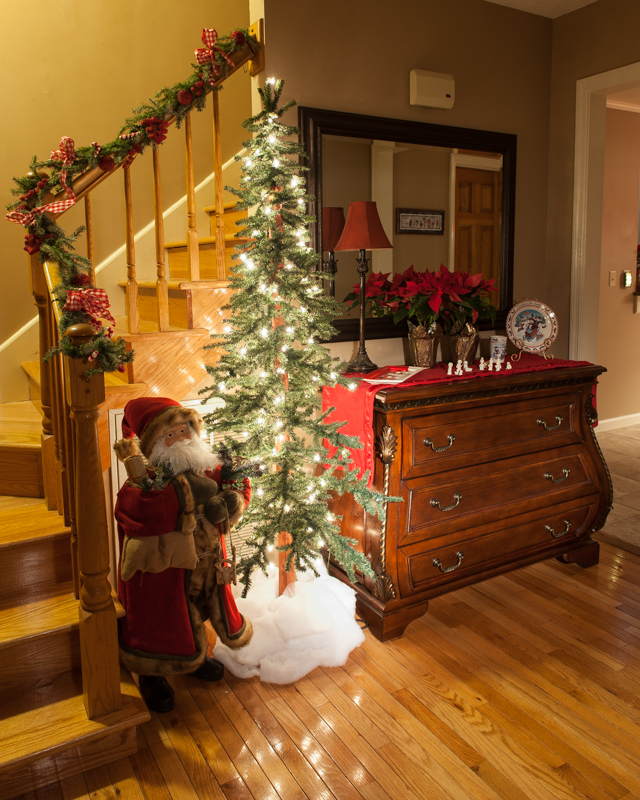 The tree looks good but the cool blue light in the lamp has to go and I sure would like to see the dresser and stuff on top of it (since that is why I am here – to shoot the decorations). 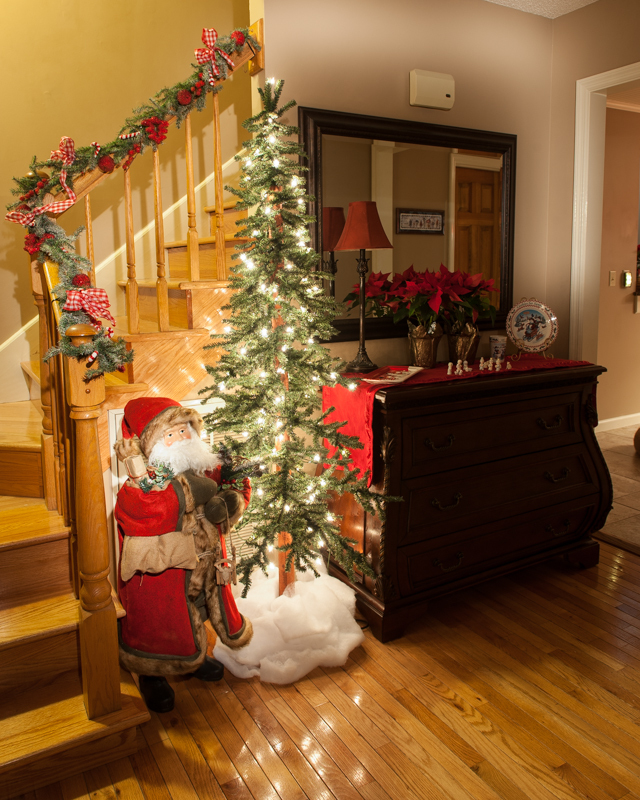 I could use a longer exposure but then the tree would be really blown out and there is no way I am getting that dark dresser to look good. This is an ideal situation for some light painting. I first saw light painting done by one of my favorite photographers – Dave Black. The basic idea is to use light from a external souce such as a flashlight to add light only where you need it. Dave typically shoots in a completely dark room and uses a small light to illuminate different parts of the scene as required to get the look he wants. It may take several shots to get the one you want but with some patience and persistence you can get some amazing results. Click here to see some of Dave’s work. Figure 2 – Add some light to the left front and side of the dresser. 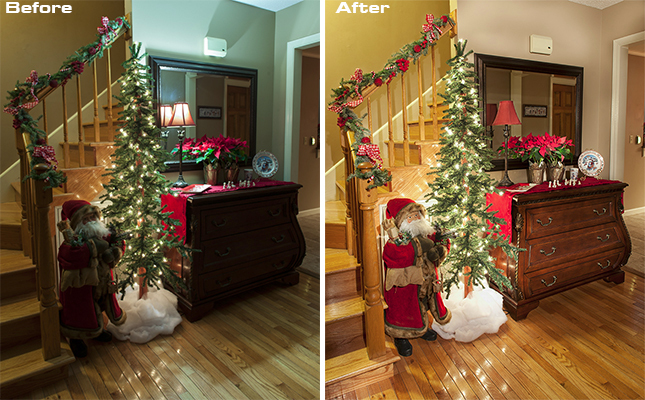 Figure 3 – Add some light to Santa’s face and suit. Splash a little light on the wall above the mirror and up the stairs. 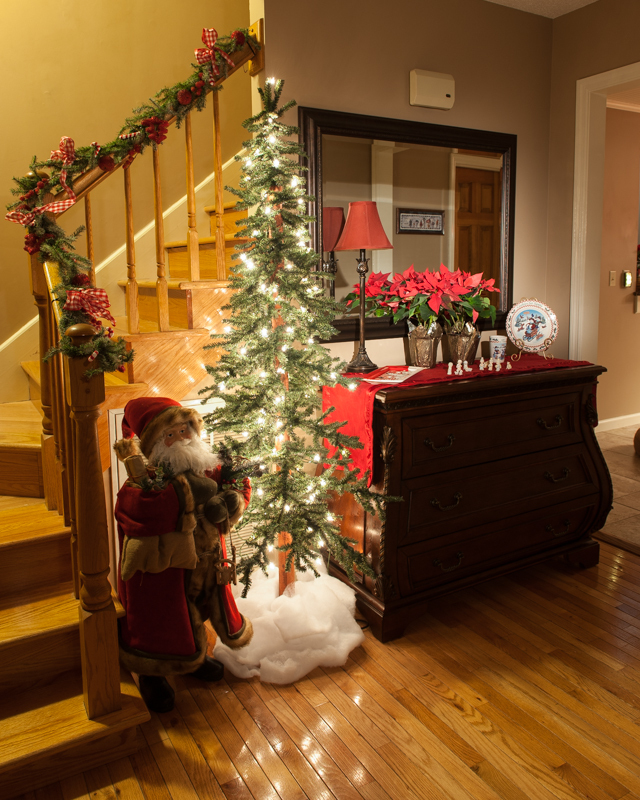 Figure 4 – Gotta see the flowers and decorations so add a little light. By no means is this an exact science. I made about 15 different pictures reviewing each on the back of the camera and making any adjustments. Don’t move the camera until you are positive that you have eveything you need!! 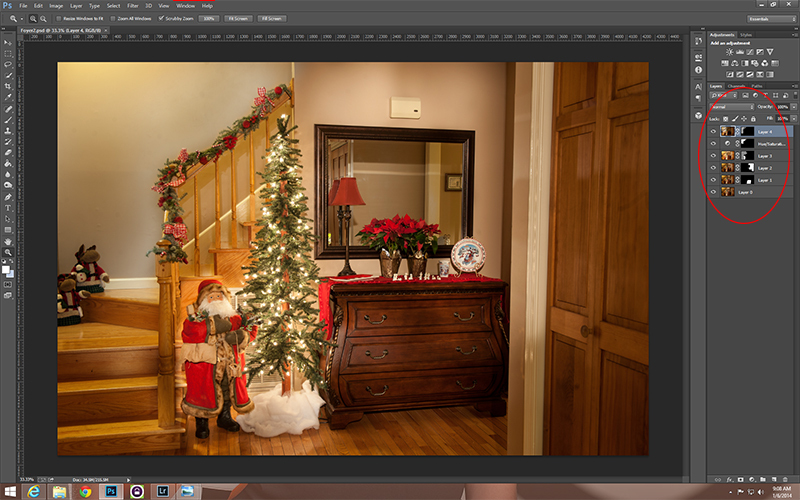 Figure 5 – Here you can see all of the images loaded into Photoshop and the layer masks in place. Close up view of the layers pane – note the layer masks which allow me to only see the areas I need. Figure 6 – Close up view of the layers pane – note the layer masks which allow me to only see the areas I need. Important note: You will notice that the Photoshop picture (Figure 5) and the layer image (Figure 6) show a different view of the foyer than all the other pictures. Well, I had already finished the original image and flattend all the layers before I decided to write this post. Either way, the process is the same. 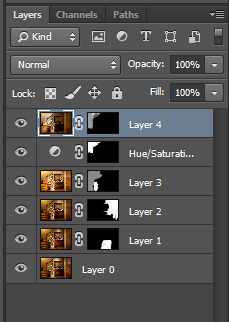 The Layers blowup view (Figure 6) shows each of the layers and their layer masks. The black areas are hidden and the white areas draw on top of everything below them. Notice Layer 3 and Layer 4 have gray areas and white areas. The gray will only be partially hidden allowing you some additional control. So in the end what did I end up with? Figure 7 shows you the final image after all the images have been combined and everything flattened. Figure 7 – Shows you the final image after all the images have been combined and everything flattened. So that’s it – an easy way to solve a huge exposure problem. Be sure to check out some of Dave’s light painting images for more ideas.